The Canary Islands, Islas Canarias in Spanish, are an archipelago consisting of eight populated islands and located ca 100 km west of mainland North Africa. Concha Jerez and José Iges, Madrid-based radio artists, have initiated the project “Islas Resonantes – Resonant Islands”, for which they invited other artists to visit one island each and produce sonic explorations of them. The project is well-documented with weblogs, fotos and sound files at islasresonantes.com and was furthermore published as a book including two CDs with the sound pieces. In the first episode of Kunstradio’s trip to the “Islas Resonantes”, we play pieces by Alessandro Bosetti (Gomera), Guillermo Lorenzo (Lanzarote) and by the curators Concha Jerez and José Iges (Gran Canaria). The works that compose the project currently being discussed should rather be included in what Canadian composer and theorist Barry Truax designates “electroacoustic soundscape”. 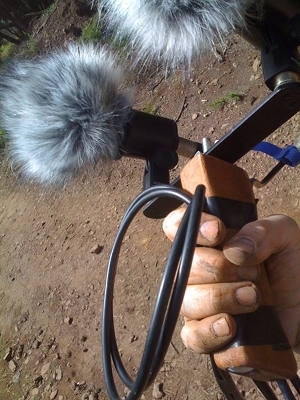 The fact is that although recording a sound in a certain environment and/or acoustically analyzing a landscape may easily lead to the sheer preservation of a collector or to the work of a researcher, it may also be conducive to deepening in a certain poetics that binds that object or sequence to countless allusions and resonances, not forgetting -while doing so- the context to which those sound objects belong. In the latter case, we already find ourselves in the realm of creation, of the recorded object’s possible aesthetic relevance as it is integrated into a whole which intention is, beyond the merely documentary, of an historicist, sociological or artistic nature. One should bear in mind the fact that, according to some theoreticians of this matter, that “the soundscape is a reduction of reality, not reality itself”. At the end of the day, the organization of the objects recorded at random by the “sound hunter” –as the occurrent term of Alain Trutat has it- in order to achieve aesthetic results, may constitute a better explanation of an experience than a given objective reality. We could somehow say that they contribute to explain ourselves through the universalization of that experience. It should also be born in mind that the landscape is a notion exclusively valid for the human species and that it doesn’t exist outside it. The landscape, thus –and the soundscape too- is a cultural notion. 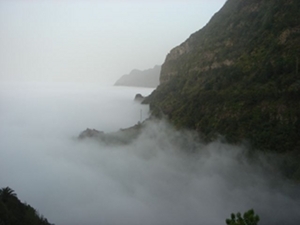 Thus we have considered that on exploring the sonic dimension of the Canary Islands we also did so in its culture and that, on the other hand, by developing such a project as RESONANT ISLANDS, we were creating culture. The process bloomed with the complicity of a varied group of composers and sound artists, and very especially through the support of the Septenio Program of Canarian Government and the people in charge. It has progressively developed by means of contributions to the web page of the project (www.islasresonantes.com) by all these authors, among which we, who also curate the proposal, are also included. These contributions have also produce, as the months went by, a certain diary of the voyage by way of blog, enhanced by sounds, anecdotes, comments, photographs, geographic localizations, etc. But they have also given those pages the first, partial mixes, fragments or even interesting materials of the works not included in the final versions which are here offered. We are convinced that the most interesting aspect of this project is, beyond what it contains, that which it triggers. Thus, our ISLANDS will effectively become RESONANTS if they manage to multiply their impact in each listener, involving her or him from that moment in enjoying the rich and varied character of the Canary Islands. “Even if actual bells - belonging to the church of the village of Hermigua, on the island of Gomera in the Canary arcipelago - are to be heard in this piece, they are not the “Campanas” (bells) the title refers to. 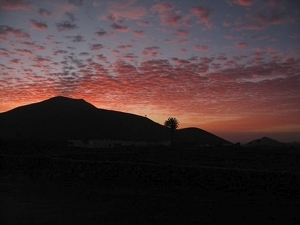 Campanas is an expression used by the locals to identify locations on the island terrain - rich in canyons, ravines, steep and rocky valleys - that have a special resonance. In that occasion I focused on the sonic qualities of that very language and submitted some poetical texts to the speakers in order to observe - and record - the way those phrases would have transformed while translated in that special idiom.